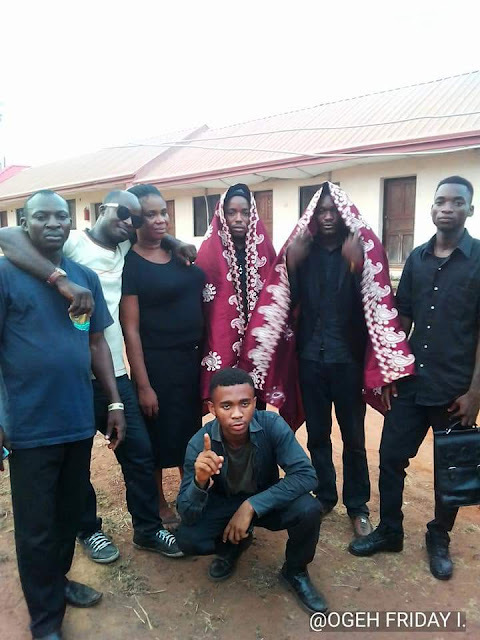 MAGISTRATE COURT SITTING IN ABAKALIKI GRANTED BAIL TO THE MEMBERS OF IPOB ABDUCTED BY NIGERIA POLICE ON SATURDAY 24 MARCH, 2018. The magistrate court sitting in Abakaliki Province of Biafra on Wednesday 24 March, 2018 granted bail to seven members of the Indigenous People Of Biafra (IPOB) under the leadership of Mazi Nnamdi Kanu. The presiding magistrate Stellar Ugoeke after hearing the three count charges bothering on association on unlawful society, belonging to a proscribed IPOB group and luring people into joining a proscribed group, gave room for the defending counsel, Barrister C. N. Orogwu to make plea, he therefore prayed the court to grand his clients bail after they have pleaded not guilty. The presiding magistrate Stellar Ugoeke having heard the plea granted them unconditional bail with seven sureties, one for each and she adjourned the case to Tuesday 17, April 2018 for further hearing. Recall that some members of IPOB which include: Pius Izirigi, Ikenna Onyibe, Eze Daniel Obinna, Ogbuka Franklin, Chukwu Jacinta, Aka Onyeka and Igwe Ogbonnaya the Ebonyi state IPOB coordinator were abducted on Saturday 24, March 2018 along water works road Abakaliki, while attending the funeral rite of their late member Mazi John Nwoke who passed on January 7, March 2018 after a brief illness at Effium. Meanwhile, the counsel to the accused persons Barrister C. N. Orogwu who represented the IPOB legal team, while addressing the members of IPOB who gathered to witness the court proceedings said that the legal team will file a motion on notice starting from Thursday 28 March 2018 for the court to mandate the police to release those property of the accused persons which include two vehicles, a bag of rice and other items the group was attending the burial with, which was confiscated during the time of the abduction on Saturday 24 March, 2018 at Abakaliki.